Mo-Fi Gives The Cars Just What It Needed! The Cars didn’t swing but that was the point. Rick Ocasek didn’t emote much, but that too was the point. 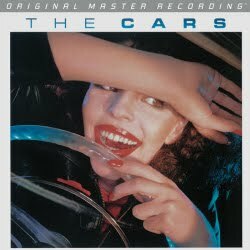 The Cars were all about gleaming chrome, hard edges, not too glam-rock and taking Roxy Music to its logical, stripped down conclusion. The musical and cultural concept was modern yet retro. It was an American band, after all. It was 1978 and The Cars helped usher in and would eventually be overtaken by the synth disco hair bands. Despite the trappings, The Cars were very conservative, from David Robinson’s tidy on-the-beat drumming to Greg Hawkes’ orderly synth lines. No raucous Eno squealing for him. Even when allowed to predominate, on the final tune “All Mixed Up,” the synth parts are neat and punctual. Elliot Easton’s guitar lines were dazzlingly understated, serving to fill more than to puncture. Ric Ocasek’s vocals were cool and detached but hardly campy. What made the debut click with the American public almost immediately were Ocasek’s songs: familiar enough and tuneful at their core but sufficiently alienated and alienating to effectively counterbalance the then dominant California culture. Look at the pictures on the inner sleeve of the gatefold reissue and you see, despite the leopard skin tights, suspenders and the rest of the modestly hip get ups, more beantown working class earnestness than rock and roll outrageousness. The album opens with “Good Times Roll,” a concept that usually produces musical and lyrical abandon but here, not so much. Over a stiff beat Ocasek makes it almost painful: “let them knock you around,” “let the stories be cold,” “let them make you a clown.” Sure, the idea is sort of roll with it but not comfortably or with abandon. While “My Best Friend’s Girl” hints at a well-worn theme of longing and possessiveness, Ocasek flips it brilliantly at the end with “and she used to be mine.” The dismissive obsessiveness and cool cruelty of “Just What I Needed,” written by Ocasek but sung by bassist Benjamin Orr remains one of the great lyrical coups of modern rock. Combined with a brilliant opening, a tightly wound center and non-resolved ending, the tune’s demo version was much requested on WBCN-FM and helped signal the station’s paradigm shift from hippiedom to the “new wave” led by the program director Oedipus. Over the decades, Ocasek’s spare, cool lyrics, filled with desire and ambivalence, only gleam brighter. There’s not a bad tune on this debut and the arrangements, though now familiar, are spare works that craftily whip rock guitar and new synth into candy gloss, carousel perfection. You could say some of it is too cute by half and accuse the beat of plodding now, but it did back then too. In fact, the deliberativeness of Robinson’s mechanical sounding rhythm tracks was and remains one of the album’s core strengths even as you will them to break free. Recorded at AIR Studios in the UK and produced by Queen producer Roy Thomas Baker and originally mastered by George Marino at Sterling Sound, the album has always had a cool crunchiness that may have been intentional both to mirror the musical intent and to make it “pop” more on the radio but it never made for a great listen on a high performance audio system. The original pressing has both a Sterling stamp on the lead out groove area and the initials “RTB” (scribed in the plastic), which probably means he was involved in the original cut. Clearly RTB wanted it cool and somewhat crunchy because the original Japanese pressing (Elektra Warner-Pioneer P-10552E) is more dynamic, more bass-intense and produces far more depth than does the original American issue. Mo-Fi’s new gatefold edition sounds closer to the Japanese than to the original but it’s even better in most ways and as good in others. The Mo-fi is just crunchy enough, but not too crunchy and has excellent bottom end extension and definition. It also produces more depth and width than does the original and it doesn’t push the vocal harmonies up against a glass wall, which is something the others do. If this is one of your ‘go to’ albums, go to your favorite records store, virtual or brick and mortar, and get this. It’s just what you’re needing. Less than a week after they unexpectedly, awesomely took home the Grammy for Album of the Year, Arcade Fire have announced a massive world tour. Along the way, they'll play a few giant festivals, as well as their own headlining shows with some choice openers: the National, Explosions in the Sky, Local Natives, Okkervil River. When that's done, they'll hit Europe, head back to Canada for one show with U2, and wrap it with two more gigs in the UK. as multiple artists and genres have such similar entries, it’s almost kind of eerie. Earning honorable mention is a Second-State copy of The Beatles’ “Yesterday and Today,” which narrowly missed making the countdown when it sold for $2,025. This stereo copy clocked in at VG++ for the vinyl. The cover, which comes with its original shrink wrap, earns a strong E++, according to the seller. See if you can find its partner further down in the countdown. 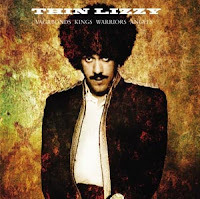 A new museum exhibit in Ireland is commemorating the 25th anniversary of the death of Thin Lizzy frontman Phil Lynott. On the eve of the exhibit opening (it runs March 4 through April 3 at Stephen’s Green Shopping Centre in Dublin City Centre), Neil McCormick of The Telegraph has written a piece about the legacy of Lynott and his band – which includes some high praise from Metallica’s James Hetfield and U2’s Bono. 3. Jacuzzi Boys / Vivian Girls – Bruise Cruise V.2 7? 5. 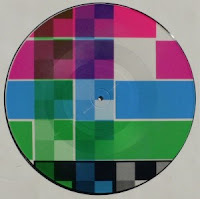 Quintron / Turbo Fruits – Bruise Cruise V.3 7? 6. Black Lips / Strange Boys – Bruise Cruise V.4 7? 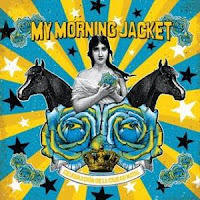 Highly anticipated song title: "Holdin' On to Black Metal"
Kentucky classic-rock explorers My Morning Jacket are festival mainstays with a rich and busy side-project schedule, but they haven't released a new album since 2008's Evil Urges. This spring, they'll finally return in full force when they release the new album Circuital, as Rolling Stone reports. Talking to the band, RS learned a few key details about the album-- like the fact that it includes a song with the awesome title "Holdin' On to Black Metal". And that the genesis of the album belongs to Muppets. French legends Daft Punk (Guy-Manuel de Homem-Christo and Thomas Bangalter) are releasing a remix album of their acclaimed original score to last year’s Tron: Legacy. The album is approprietly titled Tron: Legacy R3CONFIGUR3D and will be in record stores April 15th on both CD and boxed set vinyl. The new record will feature contributions from M83, The Crystal Method, Moby, Paul Oakenfold, and plenty of others. People in the music industry love to throw around the term "DIY," but few people live by its credo as much as Scotty Heath. The Bay Area resident's Tankcrimes is one of the most vital record labels in the underground scene today, and he's done it all on his own. Working out of his Oakland, CA garage, Heath has released records by the cream of the crop of the punk and death metal scene. Agoraphobic Nosebleed, Municipal Waste, and Toxic Holocaust are just a few of the killer acts Tankcrimes has unleashed during its run as a label. With more than 100 years of accumulated rock ‘n' roll history as a foundation, Candy Golde is the Midwestern musical collaboration of Nicholas Tremulis, Bun E. Carlos (Cheap Trick) John Stiratt (Wilco) and Rick Rizzo (Eleventh Dream Day). The distinctive blend of blues groove, power pop, Americana and alternative shows itself in the self-titled 5-song Candy Golde EP, to be released by Ten O Nine Records on May 11. 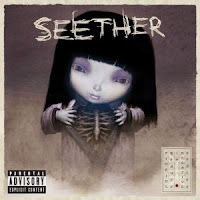 South American rock band Seether have announced tour dates in support of their upcoming album, Holding on to Strings Better Left to Fray, which is slated to drop May 24 on Wind-Up Records. The first single, a country-rock track called “Country Song,” is set to hit iTunes March 8. Ben Taylor has toured alongside Sheryl Crow and Blues Traveler, but never his own father. Until now, that is. The son of James Taylor and Carly Simon kicks off on a North American tour with his dad this week in support of his upcoming release, Listening, out later this year. Ben and his father will perform each show side by side, the two playing each other’s songs. 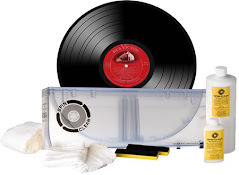 Who needs dinnerware or a blender when you can have a record store? Gayngs' keyboardist and his wife are enjoying being newly wed to Yeti Records in south Minneapolis. Instead of a matching dinnerware set, a breadmaker or a honeymoon, Lisa and Jake Luck got something they really wanted for a wedding present: their own record store. Great to see this fun and enjoyable event being successful! This past Sunday, February 27th, Brooklyn Bowl played host to Collect-i-Bowl, an event that featured over 25 vinyl record dealers showcasing their thousands of records to prospective collectors. Mike Schnapp, aka DJ Uncle Mike, organized Collect-i-Bowl and spun records for the event, which included free bowling and lasted from 12 p.m. to 6 p.m. Schnapp, who DJs at Brooklyn Bowl every Saturday, said that compared to the other two shows held in spring and fall of 2010, this one was the best yet. “People are happy because it works,” he said. Originally released in 1979 and sounding as fresh as a daisy today, Labour Of Lust was actually a Rockpile album but had to be released as a Nick Lowe solo effort because of the contractual silliness of the times. The Tchaikovsky's ballet "Swan Lake" debuted in 1977. "Tequila" won best R&B performance. 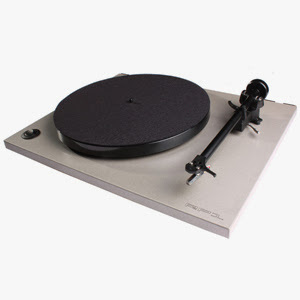 Variety magazine seemed to take great delight when it later reported - "The record academy has snubbed the Rock. Not one Rock 'n' Roll record was nominated." John Lennon caused a major stir in the United States in 1966 when London's Evening Standard newspaper published an interview with him in which he remarked, "Christianity will go. It will vanish and shrink. I needn't argue that. I'm right and will be proved right. We're more popular than Jesus right now." Lennon would later apologize, explaining that what he meant was "the way some people carry on, (screaming at their concerts) you'd think we were more popular than Jesus Christ". Thousands of Beatle records were smashed at mass rallies and some radio stations quit playing their songs altogether. John's apology was eventually accepted by most and time has healed most wounds. In 1967, the Rolling Stones' "Ruby Tuesday" sat atop the Billboard singles chart after American disc jockeys shied away from playing the flip side, "Let's Spend The Night Together". In 1970, Janis Joplin was fined $200 for using obscene language onstage in Tampa, Florida. In 1972, Badfinger receive a Gold record for the Billboard #4 hit, "Day After Day". The song featured George Harrison on guitar and Leon Russell on piano. In 1977, CBS released The Clash’s self-titled debut album in the U.K. CBS in the U.S. eventually released their own version in 1979, after over 100,000 imported copies of the record made the LP one of the biggest-selling imports of all time. "Stayin' Alive" was pushed back to number 2, while another of their compositions, "Emotion" by Samantha Sang sat at number 4 and "Night Fever" was number 5. Also in 1978, the US internal Revenue Service carried out a dawn raid at the home of Jerry Lee Lewis and removed cars worth over $170,000, to pay off his back taxes. In 1986, after just completing a two set show with The Band in Winter Park, Florida, 41 year-old Richard Manuel committed suicide by hanging himself. His band mate, Robbie Robertson honored his friend with the song, "Fallen Angel" in 1987. After Madonna's "Like A Prayer" debuts in a Pepsi commercial on US television in 1989, Roman Catholic groups around the world protest, calling the video, which contains both religious and sexual imagery, "blasphemy". Raymond Edwards of the vocal group The Silhouettes, died in 1997 at the age of 74. The Philadelphia quartet topped the Billboard chart in 1958 with "Get A Job". In 1999, Cher had her first Billboard number one single in 25 years with "Believe." The last time she topped the chart was with 1974's "Dark Lady." In 2001, Glenn Hughes of Village People died of lung cancer at the age of 50. He was buried in his leather biker outfit. Birthday wishes to Evan Dando of the Lemonheads (1967) and Chris Squire of Yes, who turns a young 63 years old!